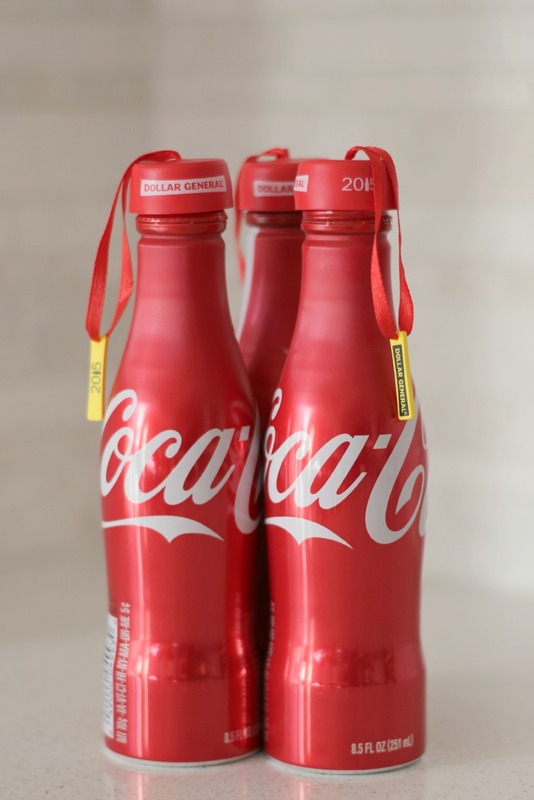 Santa Claus is coming to town and Coca-Cola is celebrating with some limited edition aluminum Coca-Cola bottles. You’ll find these exclusively at Dollar General and you’ll need to hurry because they are selling out fast! There are six different designs featuring all eight reindeer and Santa and Mrs. Claus. 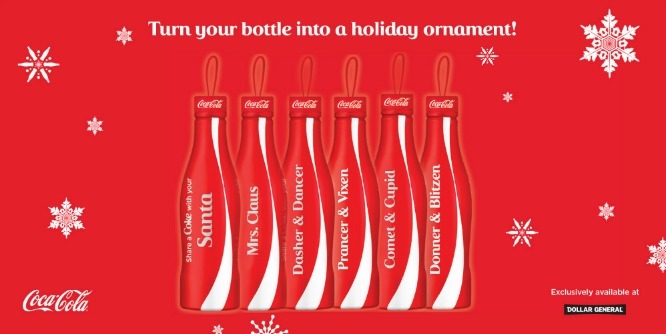 Because who wouldn’t want to share a Coca-Cola with the jolly fellow himself!? What makes these limited edition Coca-Cola bottles even more fun is that you can get an exclusive ornament topper free with each purchase at Dollar General. This little top fits perfectly on the top of the bottle and you can hang them straight on your tree. Isn’t that fun!? 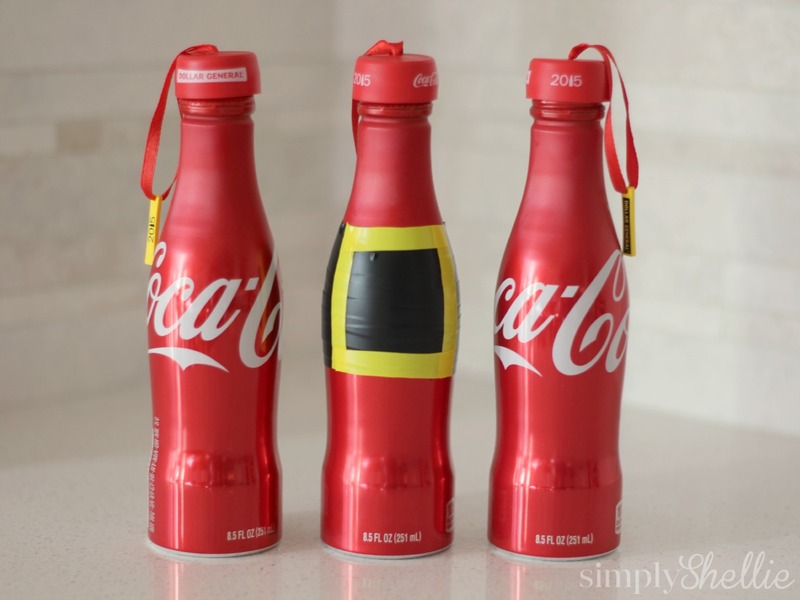 I also wanted to share a quick craft tutorial to help you transform your Coca-Cola aluminum bottles into Santas! 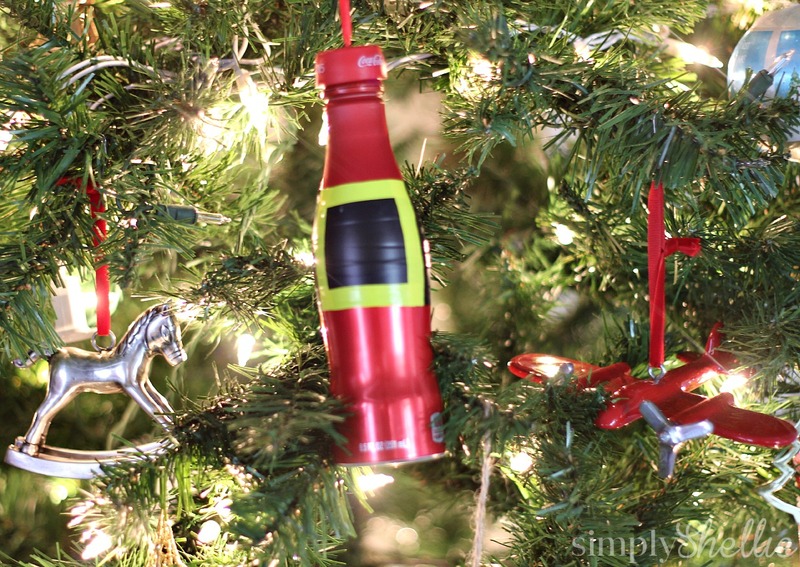 This Santa Bottle Craft really couldn’t be easier and is such a fun way to add an ornament to the tree. 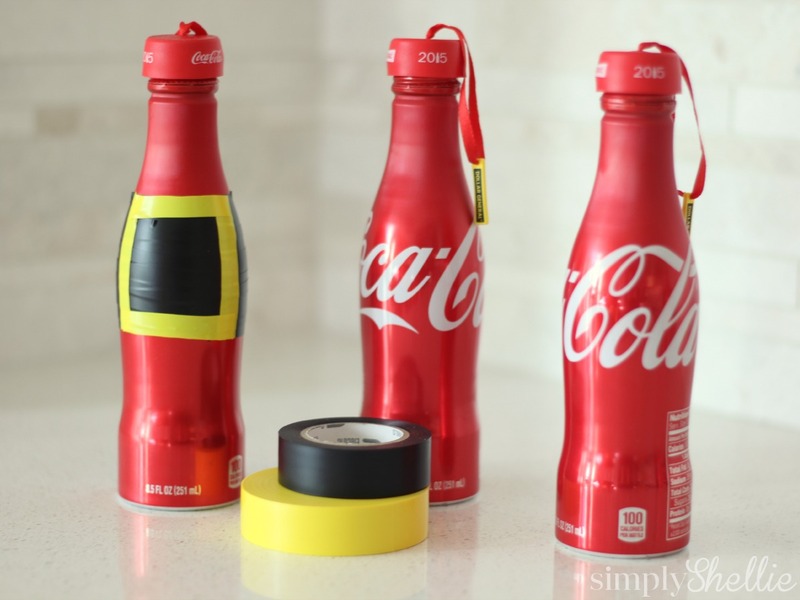 All you need is 2 colors of electrical tape which you can probably find at Dollar General while you are grabbing your Coca-Cola Bottles. First wrap the black tape around the middle of the bottle. Then cut two strips of yellow electrical tape in half. Use these to make a square around the black belt to form the belt buckle. Add the topper and done! I told you this is the easiest ornament craft ever! Head to Dollar General and grab some of these limited edition bottles. Then spend a few minutes over winter break to transform your bottles into Santa Claus to hang on the tree. It’s a family-friendly project so you can get everyone involved. Cheers to Sharing Holiday Happiness! Doesn’t it look fun on our tree!? So hurry on over to Dollar General and look for the limited edition styles. If your store is out of stock of the special Santa & Mrs. Claus bottles, you should still be able to find some regular bottles that come with the topper. So don’t worry! You can still make Coca-Cola a part of your holiday celebrations. This post was sponsored by Coca-Cola and Dollar General, and I was compensated to write it. Regardless, what I have written is my own opinion and experience, and I hope you find it of use.